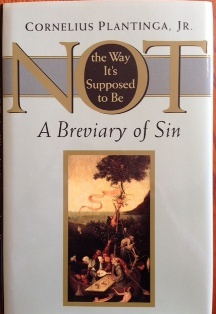 "Not the Way It's Supposed to Be: A Breviary of Sin"
In our world, the human predicament is that things are not the way they're supposed to be, as God created and intended. Our society seems to have watered down the idea of sin and its consequences to become merely a mediocre problem of personal misdemeanors. But sin is a reality that has horrific consequences that effect us personally and as a society. The summary (not a review) gives a chapter by chapter overview of Plantinga's book. If we are to understand the gospel and grace, we need a proper view of sin.